These organizations are changing communities through prevention, prenatal care, disease control, vaccinations, and mobile education and understanding of their health issues. Take a look at these 15 organizations changing the world through healthcare. Healthcare can mean many different things across the world, but technology and mobility, within healthcare, are bridging the gap between the definition. These organizations are changing communities through prevention, prenatal care, disease control, vaccinations, and mobile education and understanding of their health issues. These organizations span from big cities to the most rural parts of the world to bring healthcare to children and adults. The Global Alliance for Improved Nutrition (GAIN) is an alliance driven by the vision of a world without malnutrition. Created in 2002 at a Special Session of the UN General Assembly on Children, GAIN supports public-private partnerships to increase access to the missing nutrients in diets necessary for people, communities and economies to be stronger and healthier. In less than a decade, GAIN has been able to scale its operations by working in partnership with governments and international agencies, and through projects involving more than 600 companies and civil society organisations in more than 30 countries, reaching an estimated 667 million people with nutritionally enhanced food products. About half of the beneficiaries are women and children. GAIN’s goal is to reach 1 billion people by 2015 with nutritious foods that have sustainable nutritional impact. Health Leads believes that a different kind of healthcare system is possible for America – one that addresses all patients’ basic resource needs as a standard part of quality care. We believe that one day, all healthcare providers will be able to prescribe solutions that improve health, not just manage disease. We seek to align the forces necessary for this change, using Health Leads’ work in our partner hospitals and health centers to make a broader case for integrating basic resources into healthcare delivery. At the same time, America is poised for a healthcare transformation due to market-driven imperatives focused on improving patient health and reducing costs. When patients and their families seek medical care, they often face critical challenges in their lives at the same time – they have little food, they have no job, they struggle to keep up with bills for gas and electricity. Not surprisingly, these challenges affect their health. With Health Leads, doctors and other healthcare providers are able to ask their patients: Are you running out of food at the end of the month? Do you have heat in your home this winter?Health Leads enables healthcare providers to prescribe basic resources like food and heat just as they do medication and refer patients to our program just as they do any other specialty. We recruit and train college students— Health Leads Advocates – to fill these prescriptions by working side by side with patients to connect them with the basic resources they need to be healthy. Medic Mobile began when a few students at Stanford and Lewis & Clark started using a free software application called FrontlineSMS to coordinate community health workers at St Gabriel’s Hospital. We weren’t software developers or medical doctors—just passionate, thoughtful people who enjoyed tinkering and realized that we could use technology to improve health care in very challenging settings. Building on early successes in Malawi, we’ve since helped more than fifty organizations use technology to improve health services in more than twenty countries. Our broader toolkit now includes software we’ve developed as well as open source software created by other organizations. We’ve stayed true to the idea that the greatest health impact per dollar invested comes from making use of tools that are already available, rather than developing something new for each project. As a tech company that’s constantly fired up about health impact, we’re proud to have supported some outstanding health care providers. One hundred percent of our impact comes from helping our partners access mobile technology that can improve the services they provide. AMREF has over 54 years’ experience in health development. In 1957, three surgeons founded the Flying Doctors Service of East Africa, laying the foundation for what is now one of the continent’s leading health development and research organisations. Today, AMREF implements its projects through country programmes in Kenya, Ethiopia, Uganda, Tanzania, Senegal, South Sudan and South Africa. Training and consulting support are provided to an additional 30 African countries. AMREF believes that by focusing on the health of women and children, the health of the whole community can be improved. We are concerned with skilled care of mothers before, during and after childbirth; prevention and treatment of cervical cancer, and proper management of childhood illnesses. Our main areas of intervention are maternal and child health; HIV and Tuberculosis; safe water and sanitation; malaria; and essential clinical care. Millions of people die unnecessarily each year due to lack of health care. Many of these are children living in poverty who die from malaria, pneumonia and diarrheal disease because they could not get effective medical treatment. Adults with chronic diseases such as diabetes and heart disease are unable to receive the continuous care needed to live a healthy life. A major reason for these unnecessary deaths is the shortage of doctors and nurses in poor countries, especially in rural areas where the poorest people live. Yet most of these problems can be easily treated by other types of health workers if they are given the tools they need to effectively diagnose and treat these patients. We aim to bring accurate and effective diagnosis and treatment to the world’s poor through the introduction of easy to use software incorporating electronic protocols that guide the health worker step by step to the correct diagnosis and treatment for each patient. This use of clinical standards of care has been shown to be an effective way to improve the quality of the care provided to patients. Leadership development. We support the next generation of leaders through institutional and on site training along with access to a network of mentors in their field. Community development & education. We enable communities in the developing world to better manage their own challenges through scientific capacity development and health education. Exploratory research. We organize and initiate research in the interest of scientific advancement and public health. Originally founded as the Global Viral Forecasting Initiative (GVFI), Global Viral is a 501(c)(3) not-for-profit that received seed funding from google.org and the Skoll Foundation in 2008. Among it’s current activities, the Global Viral Fellows Program supports some of the world’s research, data and policy leaders and links them together in a network aimed at addressing the most important global infectious disease threats. Global Viral maintains its headquarters in San Francisco, CA and has ongoing activities in Sub-Saharan Africa and Southeast Asia. Traditional optical companies have shown little interest in investing the time or resources required to transform the latent eyeglasses market for the BoP(bottom of the pyramid) consumer into a viable one. Previous efforts to address the challenge of vision impairment have included the irregular distribution of donated glasses, and medical interventions such as cataract surgeries that restore vision to older individuals that are already retired from the workforce. VisionSpring recognizes the potential to have a dramatic impact on development by engaging the BoP, not as a constituency that needs to be served with handouts, but instead as a potential market that can be activated through a high-volume and low-margin approach. Learn more about how we make markets work. In order to address the global eyeglasses market failure affecting 703 million people who could have their vision restored with a pair of glasses, VisionSpring has forged new distribution channels to deliver affordable, high-quality eyeglasses to the BoP consumer. International Medical Corps is a global, humanitarian, nonprofit organization dedicated to saving lives and relieving suffering through health care training and relief and development programs. Established in 1984 by volunteer doctors and nurses, International Medical Corps is a private, voluntary, nonpolitical, nonsectarian organization. Its mission is to improve the quality of life through health interventions and related activities that build local capacity in underserved communities worldwide. By offering training and health care to local populations and medical assistance to people at highest risk, and with the flexibility to respond rapidly to emergency situations, International Medical Corps rehabilitates devastated health care systems and helps bring them back to self-reliance. International Medical Corps Worldwide is a global humanitarian alliance that comprises the resources and capabilities of two independent affiliate organizations, International Medical Corps and International Medical Corps UK. Together, our mission is to save lives and relieve suffering through the provision of health care and training. With headquarters in the United States and the United Kingdom respectively, we collaborate to maximize resources for the delivery of appropriate relief and development activities. Significant progress has been made over the last decade towards the elimination of paediatric AIDS. Yet each day, approximately 700 children are still infected with HIV. 90% of these children live in sub-Saharan Africa, and most acquire HIV from their mothers during pregnancy, childbirth, and breastfeeding. Effective and inexpensive medical interventions are available that can keep mothers and babies healthy. Without these interventions, up to 40% of infants born to HIV-positive mothers will contract the virus. With treatment, that number can be reduced to 2%. 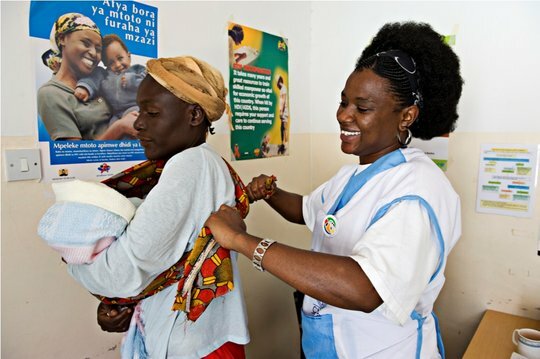 However, most health centers in sub-Saharan Africa are severely understaffed which leaves doctors and nurses with only minutes to give a pregnant woman her HIV diagnosis and explain all of the drugs and tests she must adhere to in order to keep herself healthy and protect her baby from HIV. The stigma of HIV that is prevalent in many African communities causes women to live in fear, making it difficult for them to get the care they need. Mothers2mothers (m2m) is changing that. We train, employ, and empower Mentor Mothers, who are mothers living with HIV, to work alongside doctors and nurses in understaffed health centers as members of the healthcare team. In one-on-one and group sessions, Mentor Mothers provide essential health education and psychosocial support to other HIV-positive mothers on how they can protect their babies from HIV infection, and keep themselves and their families healthy. Mentor Mothers’ ties to the community and first hand-hand knowledge of HIV makes them highly effective peer mentors. PATH drives transformative innovation in pursuit of a bold vision: a world where health is within reach for everyone, no matter where they live. We advance health equity in the belief that no child should die of a preventable disease, that all mothers should have safe births and healthy newborns, and that every community should have the tools it needs to thrive. PATH is an international nonprofit organization that transforms global health through innovation. Our approach blends the entrepreneurial spirit of business, the scientific expertise of a research institution, and the passion and on-the-ground experience of an international NGO. Defining innovationFor nearly 40 years, we have been pioneers in the development and delivery of health solutions. We accelerate smart ideas and mobilize partners to reach the world’s most vulnerable women and children. Our work spans five platforms: vaccines, devices, diagnostics, drugs, and system and service innovations. It bridges borders, sectors, and disciplines to shape the next generation of health innovations and maximize their lifesaving potential. We are known for developing lifesaving health technologies with global impact. From the vaccine vial monitor that alerts health workers when a vaccine has been damaged by heat to low-cost diagnostics that detect malaria, diabetes, and other health threats in minutes, our tools and technologies reach millions of people around the world. VillageReach improves access to healthcare around the world. We partner with governments, businesses, nonprofits, and other organizations to improve the performance and reliability of health systems in the most inaccessible and isolated last mile communities. VillageReach was founded in Seattle, Washington in 2000 by Blaise Judja-Sato. While in Mozambique coordinating relief efforts for flood victims, Judja-Sato was struck by the limitations of existing infrastructure and distribution systems within Mozambique. Upon his return to Seattle, Judja-Sato formed VillageReach as a nonprofit 501(c)(3) organization focused on infrastructure and logistics. In 2001, VillageReach launched an initiative to ensure prompt and universal access to vaccines and related medical supplies in Mozambique. The VillageReach model is currently being implemented in 251 health centers covering a population of over 5.2 million people. Even as significant resources from the public and private sectors have provided new medicines, vaccines and equipment intended to benefit developing countries over the past years, significant gaps in the distribution of these health technologies to rural communities remain. Our mission is to provide a preferential option for the poor in health care. By establishing long-term relationships with sister organizations based in settings of poverty, Partners In Health strives to achieve two overarching goals: to bring the benefits of modern medical science to those most in need of them and to serve as an antidote to despair. We draw on the resources of the world’s leading medical and academic institutions and on the lived experience of the world’s poorest and sickest communities. At its root, our mission is both medical and moral. It is based on solidarity, rather than charity alone. When our patients are ill and have no access to care, our team of health professionals, scholars, and activists will do whatever it takes to make them well—just as we would do if a member of our own families or we ourselves were ill.
An estimated ONE BILLION people lack access to even basic health care. They are plagued by preventable disease, untreated illnesses and neglected injuries. Even a simple toothache can become a life-threatening crisis. Access to good medical care is the key to providing desperately needed hope and healing. But how can that be accomplished in countries without basic supporting infrastructure—including a clean water supply, a reliable source of electricity and trained medical professionals. The answer began in a dream of a hospital ship, a self-contained instrument of mercy that would take highly qualified volunteers to the people who need them most. 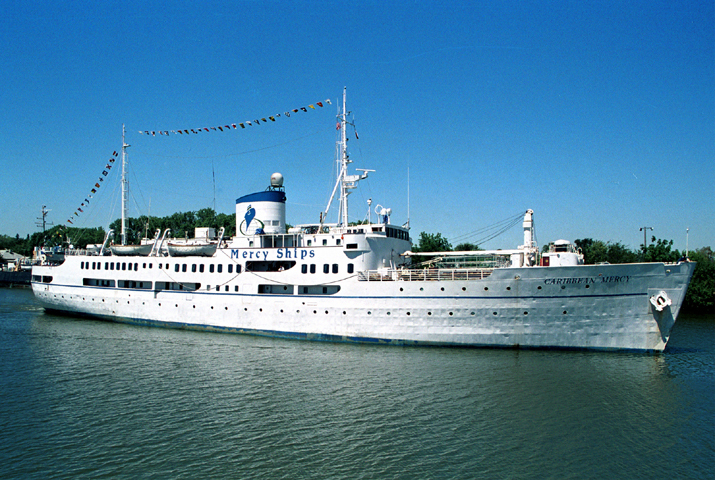 That dream became Mercy Ships. Through the compassion of volunteers and donors, the 2,000-year-old example Jesus set of caring for the poor is being lived out on a daily basis. We are transforming lives one surgery, one medical treatment at a time. Since 1978 Mercy Ships has performed services valued at more than $1 billion, impacting more than 2.35 million people directly during more than 575 port visits in 54 developing nations and 18 developed nations . . . and still counting! BasicNeeds is an international development organization that was founded in 2000 by Chris Underhill after an initial encounter with tortured and caged mentally ill people within a hospital compound in Africa. Mental health is hugely under-resourced and neglected as a health issue and therefore BasicNeeds works to bring about a lasting change in the lives of mentally ill people around the world. Our vision is that the basic needs of all people with mental illness and epilepsy throughout the world are met and their basic rights are recognized and respected. Our mission is to enable people with mental illness or epilepsy and their families to live and work successfully in their communities by combining health, socio-economic and community orientated solutions with changes in policy, practice and resource allocation. Marie Stopes International exists to bring quality family planning and reproductive healthcare to the world’s poorest and most vulnerable people. We’ve been delivering family planning, safe abortion, and maternal health services for over 35 years. Millions of women worldwide turn to us for help each year, whether in limiting the size of their families, or avoiding dangerous complications in pregnancy or unsafe abortion. Our work is underpinned by our passionate commitment to save and improve women’s lives. For families living in extreme poverty, these are life and death issues. They trust us because we put their interests first. With operations in 37 countries, we are one of the largest international family planning organizations in the world. Our focus is on providing a full range of services to people who would not otherwise be able to access them. In particular we work with women and men in remote rural areas and in urban slums whose poor access to family planning and reproductive health care only exacerbates their poverty and vulnerability. Our mission is to give people a choice: the choice of when and whether to have children, the choice of what type of family planning methods to use, and the choice of where and how to get them. The people who turn to us – our clients – are at the centre of everything we do. By giving them choices, we are helping them to take control of their lives, to manage their health, their families, and their futures. In 2012, 13.6 million women using a method of family planning provided by Marie Stopes International. Our services include: family planning, safe abortion (where abortion is permitted), post-abortion care, maternal and child health care, diagnosis and treatment of sexually transmitted infections, and HIV/AIDS prevention. My brother suggested I would possibly like this blog. He was entirely right. This put up actually made my day. You can not imagine just how a lot time I had spent for this information! Thanks! Thanks glad to here…any topics you would like to see more of?